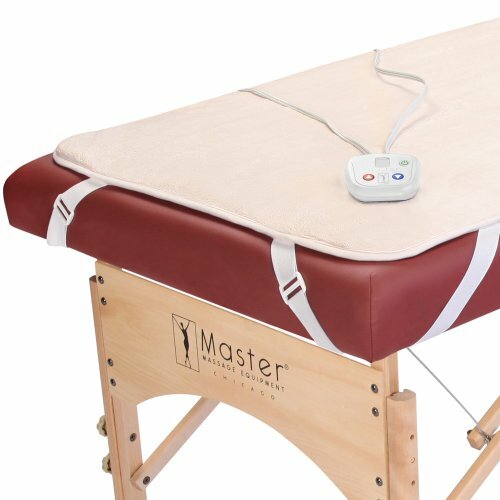 5 Of The Best Massage Table Warming Pads You'll Love! Would you like to provide the most luxurious and comfortable massage experience for your clients? 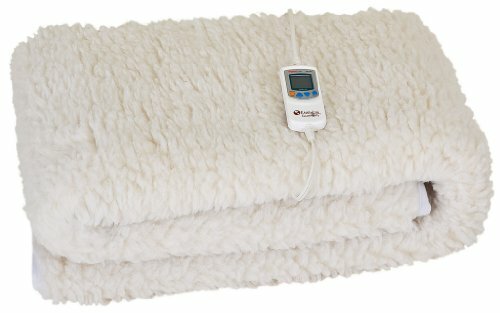 Soft fleecy massage table warming pads provide relaxing and comforting warmth for your client as they “let go” under your capable hands. Not only is it stress releasing, but the heat that heated massage table covers provide works to relax your clients muscles which may be tight from the every day “busyness” of life or physical injury. 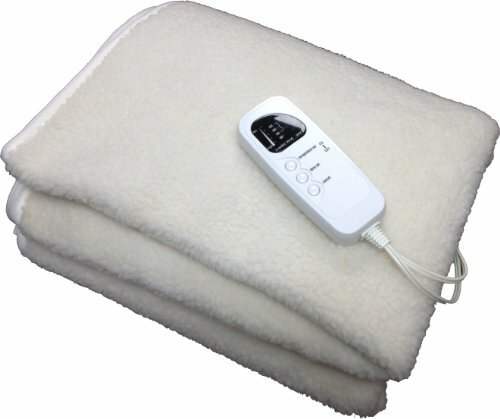 We review the best 5 electric massage table warming pads available on Amazon. These fleecy pads have tons of 4 star plus reviews and are a must if you are serious about giving your clients an outstanding massage experience where they bring you repeat business as well is recommending you to friends and colleagues. Full Size 31" x 71"
4.6 / 5 Stars 679 Customer Reviews More Details! 4.4 / 5 Stars 43 Customer Reviews	 More Details! 4.4 / 5 Stars 212 Customer Reviews	 More Details! 4.1 / 5 Stars 21 Customer Reviews	 More Details! 4.4 / 5 Stars 498 Customer Reviews More Details! To learn more about the benefits of each the massage table warming pads, we have reviewed each pad in depth below the table. 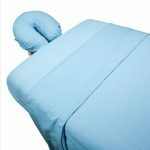 We look at the benefits as well as the downsides of each fleecy pad for you to make an informed decision before buying the best massage table warming pad for you. 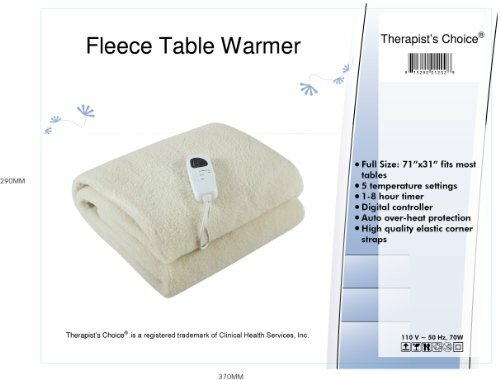 The Therapists Choice fleecy massage table warmer is a best seller, deluxe electric massage table heating pad available at a very affordable price point. Created to give your client the comfort of the ultimate luxurious massage they will remember, this electric table warmer is definitely the number one seller on Amazon as it is both a bestseller and comes with tons of 5 star reviews. So, let’s see just why this is… This electric warming pad for massage tables heats up very quickly and evenly, leaving no cold patches anywhere. A handy benefit of being able to set the timer for 8 hours, is you can set and forget the timer, knowing with peace of mind that your table is always warm for your next client the whole day. 5 heat settings allow you the choice of keeping the heated massage table cover and client toasty when it’s very cold and lower settings are perfect for when the weather is warmer. And a long 12 foot plus power cord means you can position your table anywhere in your massage room. 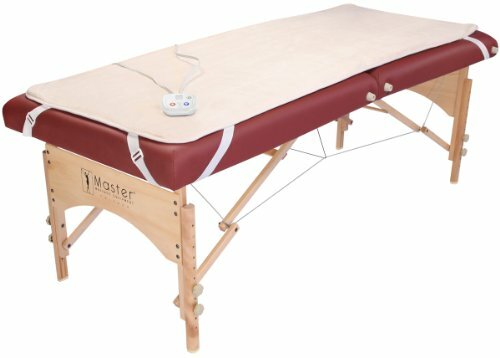 The benefits of incorporating fleecy massage table warming pads mean you don’t need to have many layers of padding to provide a soft surface for your client. A comfortable massage table is very important. A massage table which is both cold and hard is not a pleasant experience. 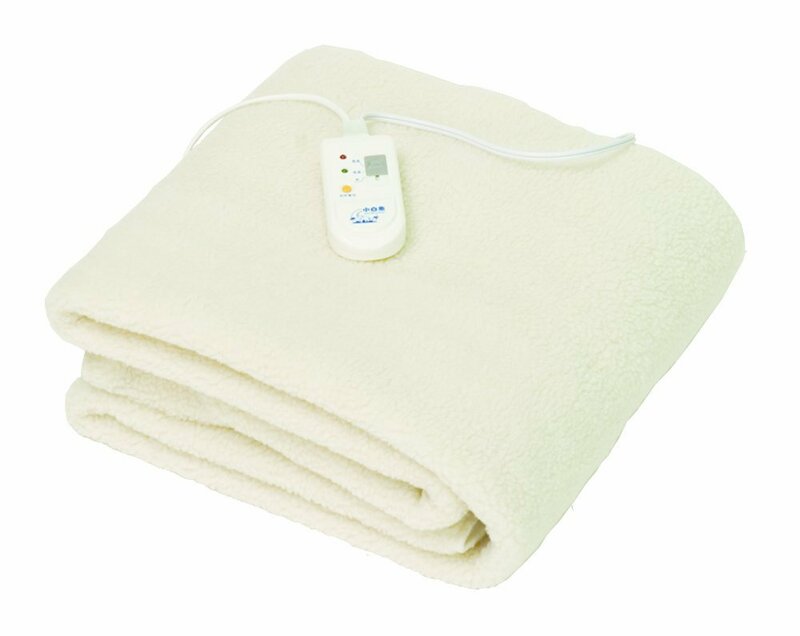 This heating pad can also double as an electric blanket for your bed, providing both the plush comfort with the fleecy padding and the choice of temperature with 5 settings available. The Deluxe Massage Table Warmer Pad is another on our list of massage table warming pads with tons of great reviews and 5 star feedback which is why we have included it in our best electric massage table warming pads reviews. The benefit of this table warmer is it is afull sized massage table warmer, fitting most standard tables up to 72 x 32″ with corner elastic straps to keep it firmly in place. An additional bonus of this table warmer pad, it comes with a two year warranty whereas most will have only a one year limited warranty available . A timer allows you to choose how long you would like the massage table to be warmed for and the temperature can be easily adjusted with a hand-held remote control. Customers have commented on how very warm this pad gets. 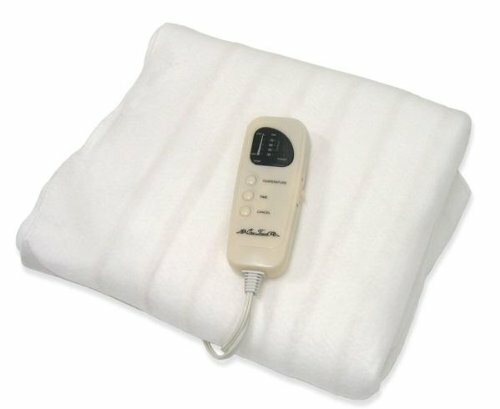 If you are doing house calls , this is a perfect massage table heating pad as it is not fleecy. 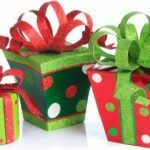 Therefore you do not have that extra bulk to carry around as you make house calls to your clients. Timer settings for the length of time you need. Earthlite are the industry leaders when it comes to massage products whether it be sturdy massage tables, electric heating pads or bolsters! This particular Earthlite Samadhi Pro Deluxe Table Warmer is one of our favorites. Talk about luxurious and comfy! The fleece finish on this is a hefty 1 inch thick fleece which includes an insulated foam bottom to protect the vinyl table top, ensuring a high degree of comfort for your client. An easy to use digital LCD controller gives you the choice of adjusting the time and temperature for the length and degree of wonderfully warm heat for the client. You can lock the electric table warmer on so that it stays on indefinitely . Another handy benefit is a quick heat feature so you don’t need to switch the warming pad on 30 mins beforehand. Additionally there is sufficient room so you can fit additional padding or bolster beneath the electric table warmer if you wish to do so. Insulated foam bottom provides table protection against heat and additional client comfort. Designed to provide gentle warming heat, the One Touch Massage Table Warmer is the perfect electric massage table warming pad for both the professional masseur and work from home massage therapist. We noted this warming pad has tons of great reviews and professionals have commented on how reliable this warming pad is. The controls are very simple and easy to use when you want to set the degree of temperature and the length of time. There are 5 heat settings of different levels to choose from and and a choice of multiple settings of up to 8 hours of continuous use which means you don’t have to worry about remembering to turn it back on between clients. Some customers felt the table warmer didn’t get warm enough for them. 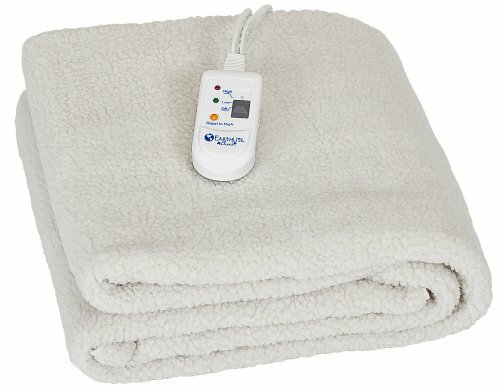 Because Earthlite massage table warmers are popular, we felt we just had to include the Earthlite Basics Fleece Massage Table Warmer in our reviews as well, as it has tons of great reviews (312 customer reviews) and a 4.4 Amazon star rating which means, it’s a reliable massage table warmer for the professional or home massage therapist. 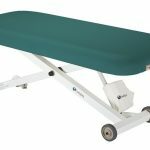 Earthlite have designed this massage table warmer with a comfortable fleece top along with firm elastic corner straps to prevent slipping and sliding on the vinyl massage tabletop. This isn’t up to the same level of design as the Earthlite Electric Table Warmer, it’s a more basic and affordable model. 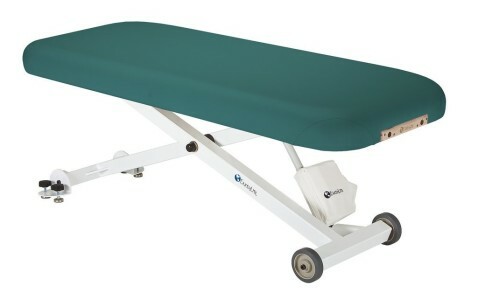 The warming pad will fit a full size massage table with measurements of 30″ wide and 72 “long . On this model there are just 2 adjustable heat settings, low and high. Excellent for the professional and home massage therapist. 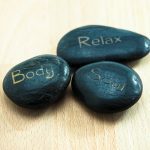 Happy clients are the best clients you can get and what better way than to give them a luxurious massage where they leave you feeling loose, happy and very relaxed. 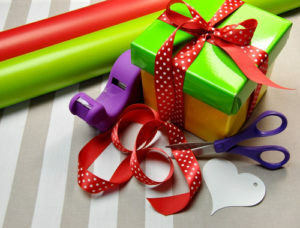 These customers are return customers and will recommend your services to their friends and colleagues. 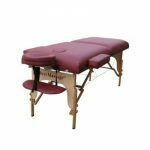 Comfort is of paramount importance as is a warm and comfortable massage table pad and by choosing the right electric massage table warming pads for your table at a reasonable price, you can give your client the experience they would like. If you would like to read more about the benefits of a warming pad, click here.